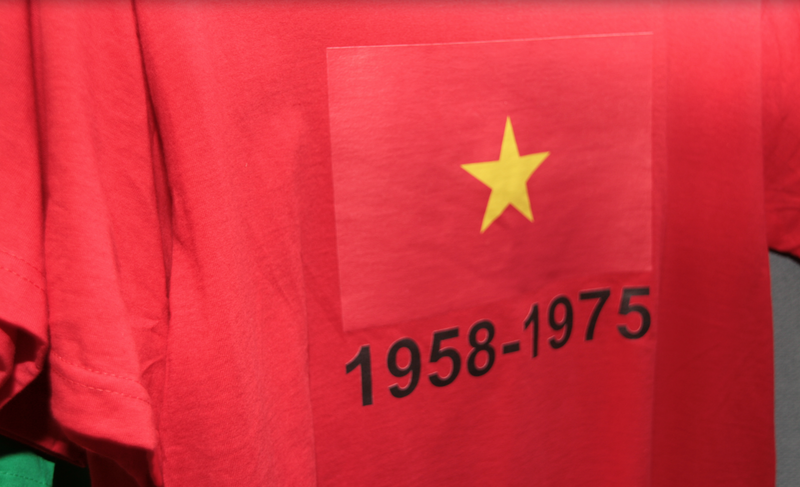 Every t-shirt shows a flag, a date and a label with information of one of the many war conflicts that have happened during the 20th century and beginning of the 21st. Through these t-shirts I analyze the violence exercised via symbolic representation and how these representations subsequently turn into a symbolic and structural violence. 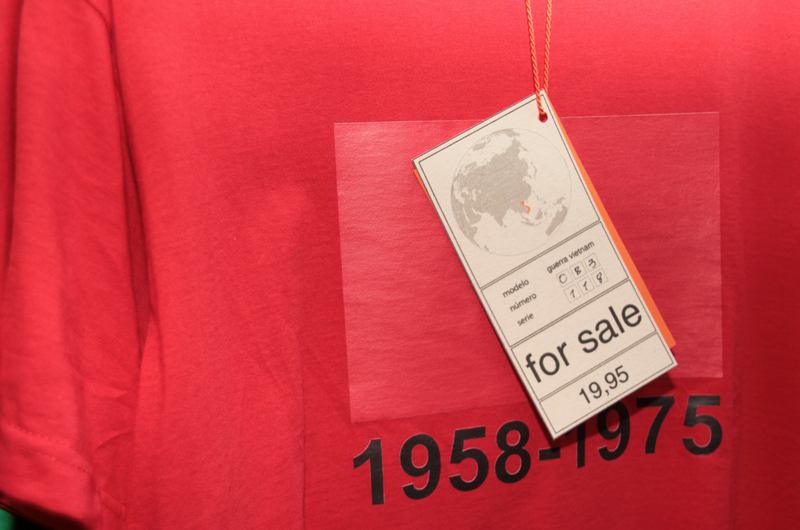 118 vinyl on cotton t-shirts, 224 paper labels. Different colors.